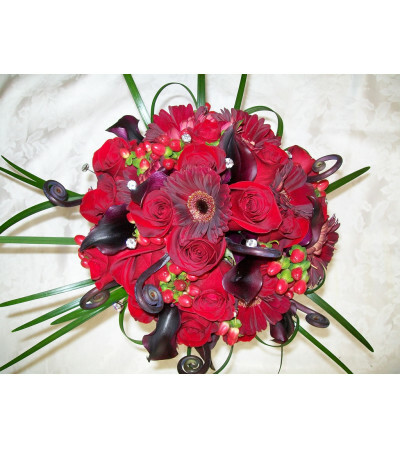 Wedding bouquet with red, burgundy, brown, and dark purple. 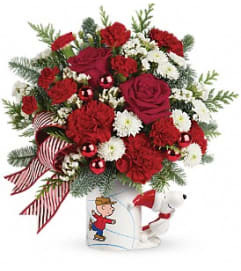 Flowers include: Callas, gerberas, roses, hypericum berries, uluhes, and bear grass. 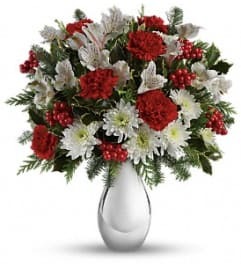 With crystals added.